One item on my never ending to do list for the house is to install a closet system in our master bedroom closet. It's a pretty good size walk-in, but needs shelving and better space planning to really reach its potential. And maybe a husband that folds his pants instead of throwing them in a bundle on the top shelf. 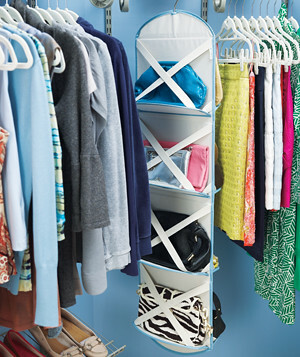 Loving this closet makeover over at Real Simple. Thanks for sharing this. 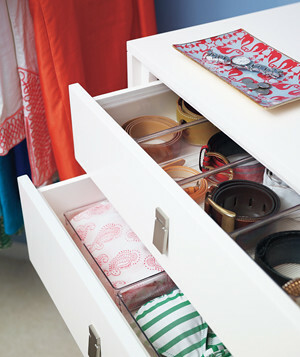 I love how this closet made use of the odd angles towards the back of the space and shows the drawer organizers. It also looks great! Thats a fabulous closet. 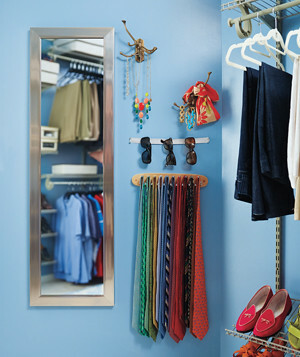 My master closet needs a complete overhall. I LOVE the Elfa system. There are knock-offs but nothing is like the original (so true about so many things!). We have it in nearly all of our closets now and I think it's worth the investment. Super easy to install, adjust, etc. I need to post about it in our blog. Seeing these pictures make me want to get a rug for our closet but the clean wood floors we have in there are so nice! 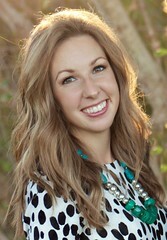 I'm featuring your article today on my craft blog! Hope that is OK! I love when closets become a beautiful room with great shelving and furniture. Loving that light fixture.